Are your feet in pain? The doctor and his staff are here for your needs. With a degree in podiatric medicine and a very vibrant personality you'll have no issue getting help from our podiatrist, Dr. Irvine. Our staff will do everything in their power to ensure that your experience at our clinic is a good one. From custom orthotics to prolotherapy, we have a wide variety of treatments to suit you. We know how hard it can be to be held back from doing what you love. That's why we'll stop at nothing to find a treatment that works for you. Need advice on buying a pair of supportive shoes? Looking for the new patient forms? If you can't find what you're looking for on our website try contacting us by email or by phone. 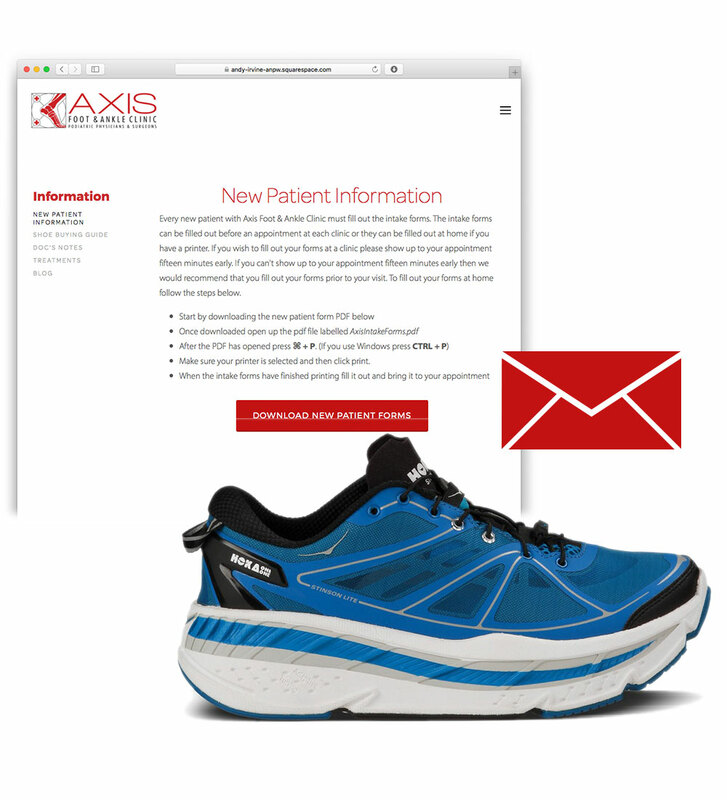 Sign up with your email address to receive news about Axis Foot & Ankle Clinic and shoe reviews from our podiatrist, Dr. Irvine!